As I said earlier, the WP Engine is a premium web hosting services for ALL the websites designed using WordPress. And if you didn’t know, it was founded in 2010 by Jason Cohen, Cullen Wilson, and Ben Metcalfe. Their headquarters are based in Austin, Texas, in the US. They boast a world-class network infrastructure and up to three data centers located in Midwest USA, Tokyo, and London. Since then, it has grown into a large-scale hosting service that supports approx. 75 million websites in 120plus countries. So, who’s WP Engine for? – For the professional WP developers, be sure to take the full advantage of all the advanced features and services offered by WP Engine to build and customize your WordPress sites. This is my best part! The WP Engine provides you with a handful of powerful, unique, advanced features that will make your online experience a special one! WPE has partnered with the MaxCDN which lets them include a CDN in all their installs. With a CDN, you can easily distribute the access to your site to various global servers as opposed to one local server. Needless to say, this will allows your international site visitors to easily and quickly access your site using the servers that are physically closer to them. WP Engine hosting services relives you off the task of having to install caching plugins to your site. Because their service comes with a built-in cashing system that works just like all the other top-rated cache plugins- serving media in such a manner that it promotes your site speed and availability. Keep in mind that this system refreshes automatically, making it even easier to manage. WP Engine managed hosting service also comes with a unique security system that lets effectively scans your site for virus and malware using an active firewall. This ensures that your site remains fully protected from all possible attacks while saving you the need to add third-party security services and plug-ins. The staging area simply refers to the location where your site’s clone exists. It’s usually separated from the live version of your site. A staging area comes handy when you want to test new themes, plugins, etc., without necessarily making changes to the live website. The WPE developed this particular feature to make it easy for you to connect your hosting account to an Amazon S3 account. Do you have an Amazon S3 account? If yes, you’ll appreciate the fact that you can now easily connect your hosting services to it, thanks to this LargeFS feature. In other words, it’s more like the LargeFS Storage is providing you with unlimited storage space for all your media files. Because they want to make the process of managing this certificate much easier, WP Engine sells their own SSL certificates. This service is made available on all their hosting plans at an incredibly affordable annual cost. And if you buy the professional, premium or enterprise plan, they allow you to use third-party SSL certificates. Developers will fall in love with this particular feature. The Transferable Installs allows you to easily develop a site without it being accessible to the public. That is, you block it through a password. All developers would love the fact that this feature allows you to start new projects for your clients faster, without necessarily waiting for your client to buy their preferred WPE hosting accounts or add you to their account WP Admin. When the client is ready to go live with their site, you’ll simply need to use the WPE service to transfer your install to them. The No.1 thing I look for in any hosting service is their uptime, performance. I don’t want my sites to experience downtimes that will cut down my profits. I believe you also hold the uptime aspect in high regard, right? To ensure that your site outputs the best possible performance, WPE optimizes page load speed using their unique WordPress specific EverCache system. As if that’s not enough, they also allow you to setup your preferred CDN (content delivery network) plugin regardless of your hosting plan. As I hinted you earlier, WPE boats state-of-the-art network infrastructure and up to three data centers in London, Midwest USA, and Tokyo. Isn’t this all you need to enjoy 99.9% Uptime and improved speeds for your website? You’ll agree with me that security is one of the key issues for concern in the modern world. With that said, you’d want to check the security level of WP Engine hosting before subscribing to their services. Gladly, the WP Engine seem to live up to their promise of fully securing your site against hackers. This can be seen in the several security measures they’ve put in place- like daily virus and malware scans and removal and the monitoring of an updated firewall for blocking any threats. I also appreciate the fact that they include FREE SSL certificate in all their plans for even higher security detail. And in case your site gets attacked, you have nothing to worry as WPE performs daily backup of the sites they host. In a single click, you’ll restore all your data and continue running your online business. They’ll clean your site for FREE in case it gets hacked! 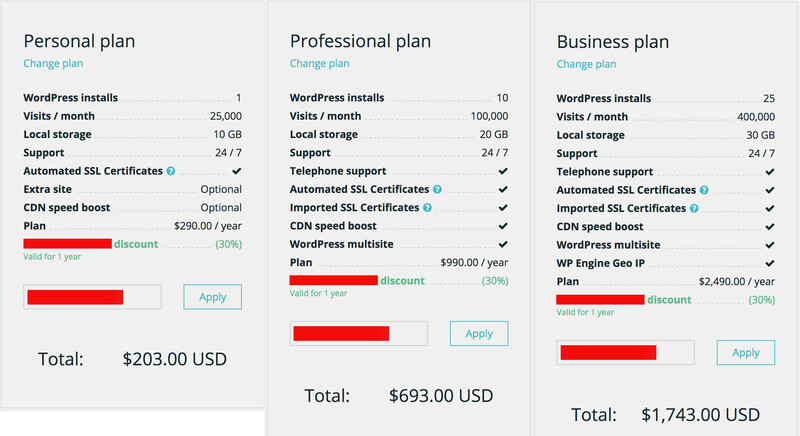 Personal Plan: get one install, up to 10GB disk space, and up to 25k visitors per month at $29/month. 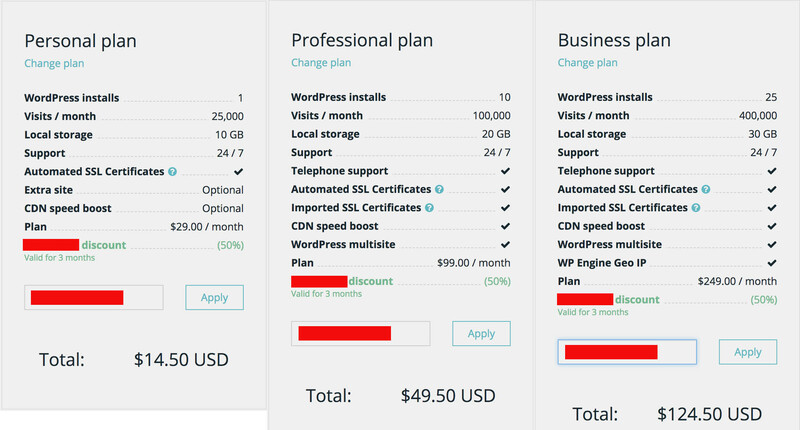 Professional Plan: enjoy up to 10 installs, up to 20GB disk space, and 100K visitors a month at only $99/month. Business Plan: up to 25 installs, 30GN disk space, and up to 400 visitors/month for $249/month. Premium Plan: enjoy High-performance, dedicated server, managed onboarding, up to 1m visitors a month, and quicker customer response. Price given at request. Enterprise Plan: get the Highest Uptime, redundant data centers, dedicated account management, up to 5M visitors a month, and the fastest possible support. Price upon request. Automatic plugin updates and daily backups. Exclusive to WordPress websites only. Traffic and storage capped for each plan. No phone support for the personal plan. Doesn’t sell domain names and email. I remember months ago I contacted WP Engine support staff via live chat to ask for assistance on how to migrate my site from WordPress site to their hosting services. Did I like their response? Yes! It was timely and they answered my question pretty well. They even asked if I had any other issue, to which I replied NO. If you wish to contact them via the same channel too (the live chat0, note that it’s available from 6 am to 8 pm CT. and it’s awesome if you want instant support. Not only that, they offer you other channels through which you can reach them and get your issues solved by professional stuff. These channels include toll-free phone call (active between 9 am and 6 pm CST), and email ticketing (available 24/7). They’ll also provide you with a whole lot of tutorials in form of articles on how to perform various tasks- e.g. troubleshooting common problems, installing your first site, managing your hosting account, among others. In conclusion, I believe that WP Engine customer support is great! WP Engine is a premium web hosting service that’s exclusive to WordPress website owners. 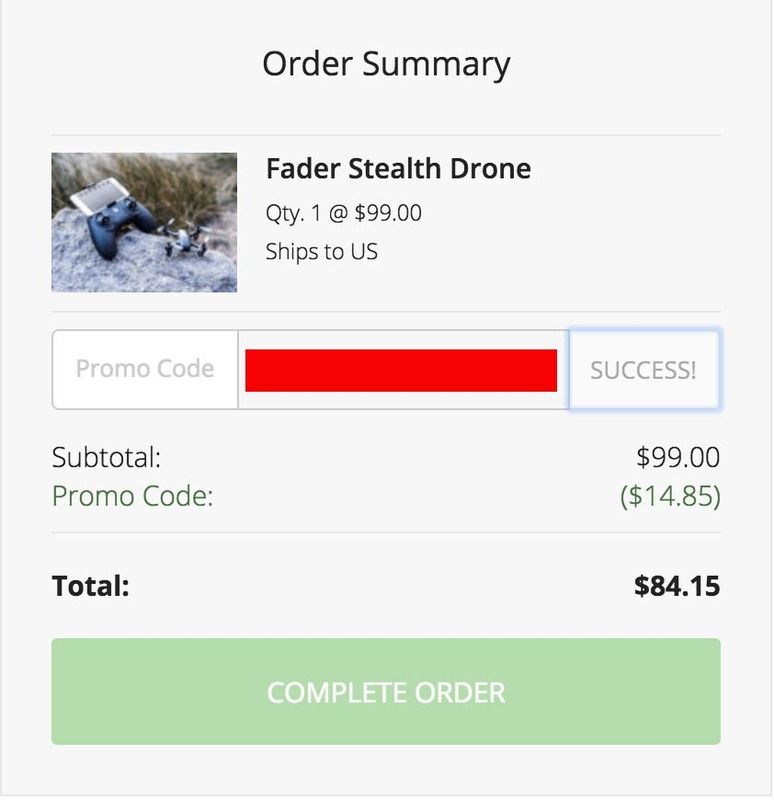 It allows you to enjoy powerful and unique features- like staging, SSL certificated. 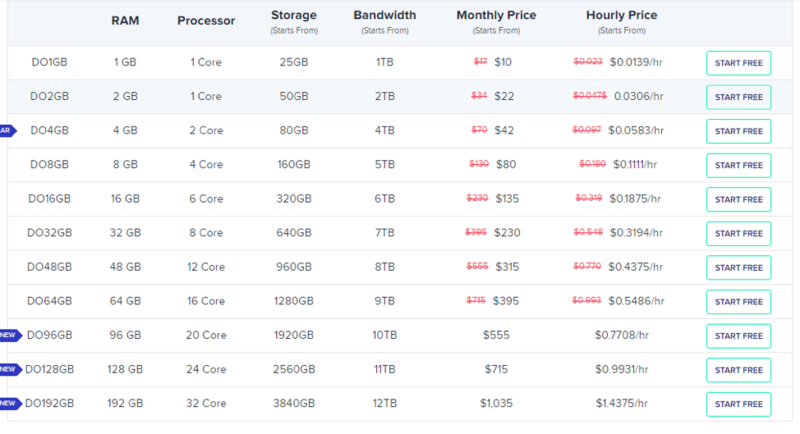 LargeFS storage, built-in CDN, and transferable installs for the best hosting experience. What’s more, it ensures total security to your site and 99% uptime and faster site speeds at all times. 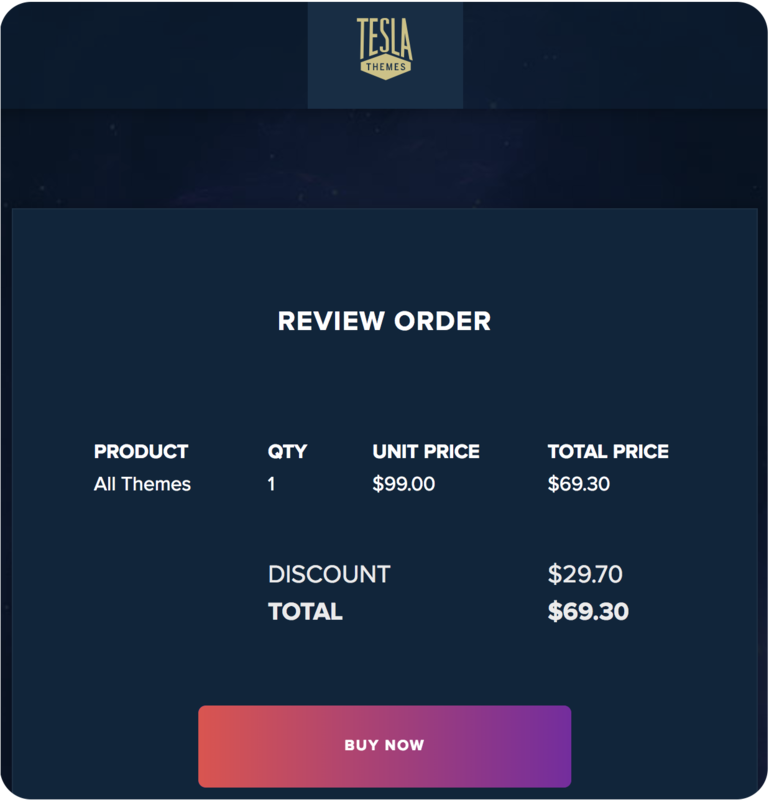 In conclusion, this is a powerful hosting service that will benefit all the beginner WordPress users, successful businesses, and the WordPress developers.